Storm is a natural disaster that brings great damage, loss, destruction and devastation to life and property. The damage caused by heavy storms such as Hurricane Katrina sometimes is irreparable. If you have a strong interest to understand more about storms, or if Helen Hunt and Bill Paxton’s in “Twister” have inspired you to monitor where famous storms are headed and how you can help to minimize damage, check out StormPulse. Storms are fascinating natural disasters which invoke awe and wonder at the ferocity of nature and the fragility of our existence. If you are a storm rider or survivor in life in the widest sense of the word, this website will surely pique your interest. StormPulse is an interesting website that feeds you with a lot of information, research, and historical facts on storms. Users who like to find information on famous storms can browse through “Storm Archive” to get the relevant information. StormPluse has categorized its database and allowed users to search previous storm records via the intensity level, decade or month (for US Landfalling Hurricanes). For instance, users who want to know where Hurricane Katrina started, where it made landfall, etc can find the answer from StormPulse. 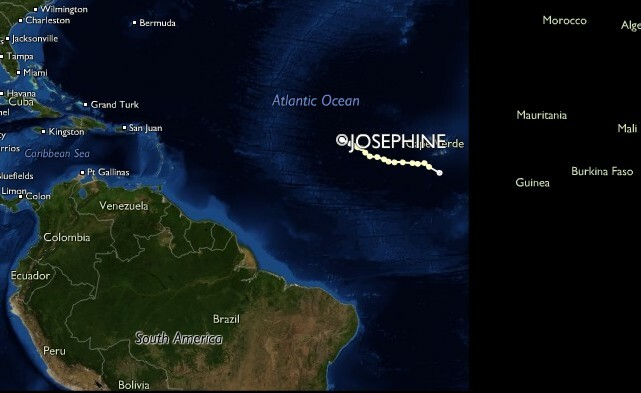 StormPulse’s highlight on Josephine’s Storm which displayed on the left side of the screen: A tropical disturbance developed off the coast of Africa near the end of August. It tracked south of Cape Verde and slowly developed. On September 2 it became Tropical Depression Ten while south-southeast of the southernmost Cape Verde islands. The depression was upgraded to a tropical storm later the same day as it passed to the south of the Cape Verde islands. Strong wind shear weakened the system over the next few days, and it dissipated on September 6 without coming near any land. Besides tracking storms, users also can via StormPulse keep track of coastal weather and the latest weather-related news. StormPulse is an interesting and information-rich website. With StormPulse, we can understand more about this natural disaster and take preventive steps before the next storm strikes. While natural disasters such as storms can be debilitating and awe-inspiring, man-man disasters sometimes perplex the mind more and wreak more devastation.